October 14, 2015 October 4, 2016 | LizT. 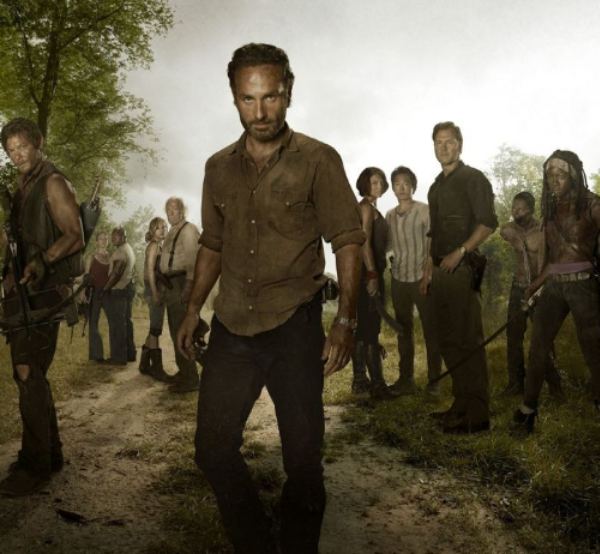 The Walking Dead has taught us, the viewers, many valuable apocalyptic life lessons over the last 5 seasons. Season 6 kicked off with a bang on Sunday and I’m sure there will be brand new lessons to learn. Perhaps one of the most intricate lessons we’ve been learning is how to raise a kid amidst a zombie apocalypse. Information that I’m sure will come in handy one day. Hey, if Glenn and Maggie make it, they may be able to benefit from Rick’s experience raising Judith and Carl. 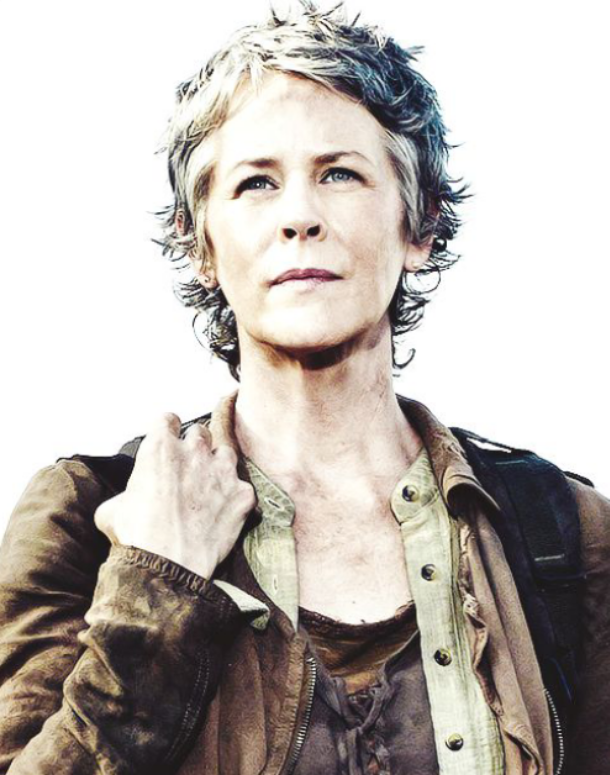 Carol has become a surrogate mother to little Judith, in the absence of Judith’s deceased momma, Lori. Sure…she’s a killer, but it’s only ever been out of necessity and to protect the family. And if that means killing psychotic kids, disease-ridden women, crazy cannibals or the run of the mill zombie, then so be it. What better role model is there for a 2 year old baby girl, really? Carl loves his baby sister. And sure…he had to kill his own mother, but she was a zombie. What’s a son to do? 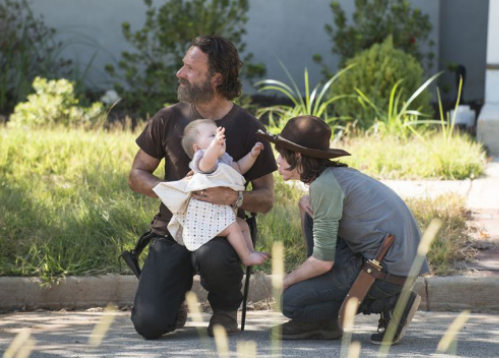 Plus big brother will be able to teach little Judith to shoot one day. And if she makes it through her terrible two’s, she’s gonna need those skills! Rick loves that little girl! That much we know. Sure…he’s murdered countless people. Being the leader of the pack in a zombie apocalypse means making the tough call. And desperate times call for a swift stab to the temple. 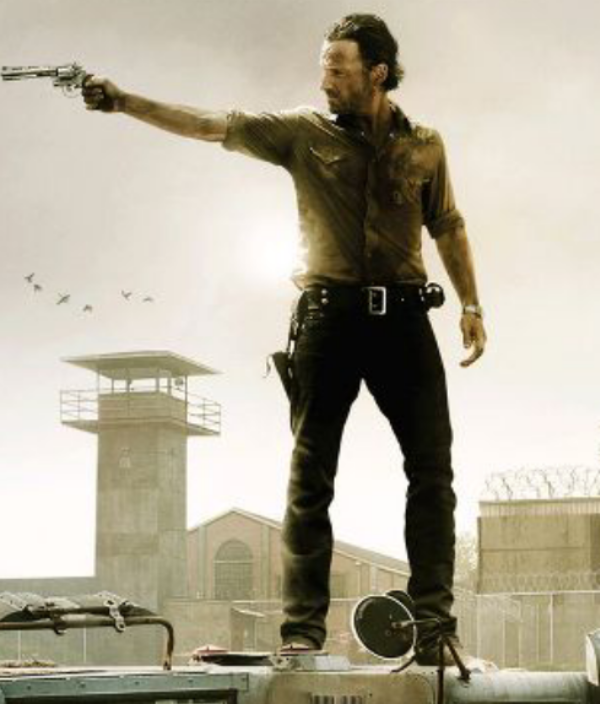 You better believe that Rick will do whatever it takes to protect his daughter from the evil undead of this world!! There is no greater love than this: that a man would lay down a score of zombies to save the life of his friends and family. The farmhouse…er. The prison…uh-uh. 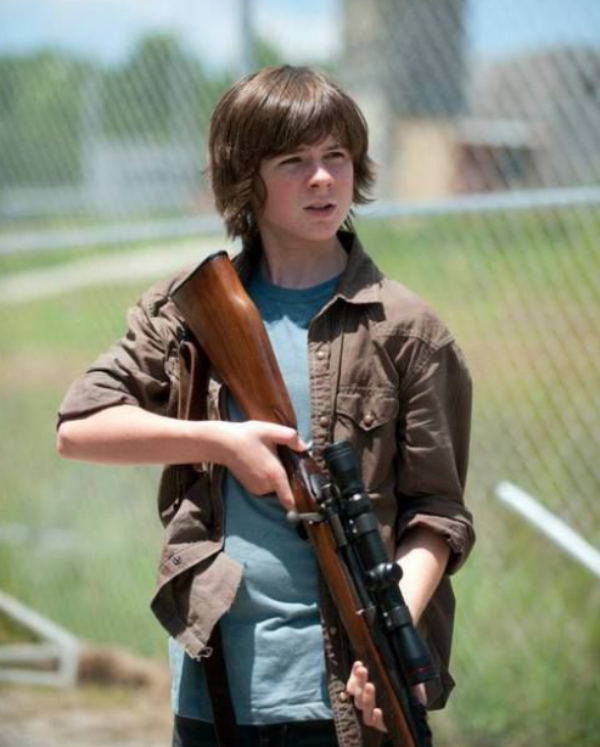 Terminus…definitely not. Alexandria…ummmm. 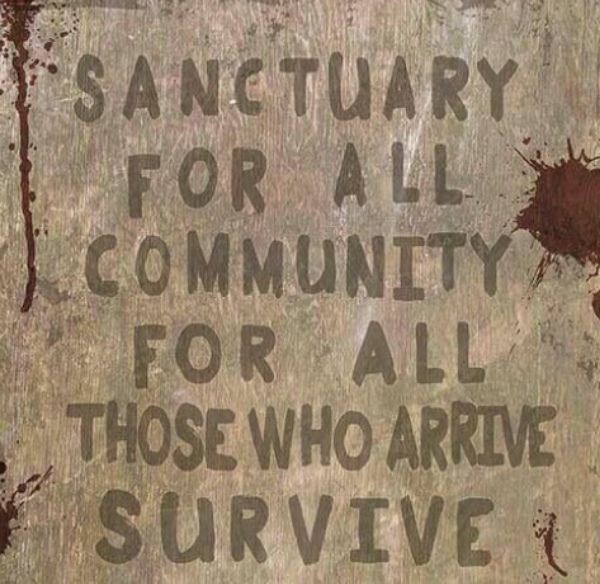 Ok, so home may be a fluid concept when you’re faced with hoards of flesh eating zombies. But that hasn’t stopped Rick from trying to find a place for Judith, Carl and Co. to call home. Is it his fault that just when they all get comfortable, everything goes to hell in a hand basket? No. He keeps hoping. He keeps trying. He keeps fighting. That’s what a good father does. Here’s hoping the rest of season 7 is a little brighter for little baby Judith and her extended apocalypse family!! I’m a huge fan of the Walking Dead. This is such a great post; if the series goes long enough, I’d love to see Judith grown up a little but who knows. Right?? How crazy to think that we could see her grow up on the show! Hope she makes it. That would be a big blow! !